Thanks to technology, we now have the ability to instantly communicate with people thousands of miles away or travel to another country within mere hours. This level of connectivity has greatly influenced the importance of learning about and understanding other cultures. The City of Dublin understands the benefits of creating, sustaining and strengthening empathy for multiple cultures through educational festivals and events; because if people can accept others, diversity can flourish. Dana McDaniel talks with a resident at a recent City Manager Talk in the Park. According to a 2017 U.S. Census Bureau report, the Asian population within Dublin is now at 17 percent, a significant increase since 2000, when it stood at 7.4 percent. Dublin City Manager Dana McDaniel says a possible reason for this growth is the dynamic businesses within Dublin and the strength of the Dublin City School District. Apart from English, some of the top languages spoken in Dublin are Hindi, Mandarin Chinese, Korean, Japanese and Spanish. In August 2018, McDaniel was recognized by the Asian-American Commerce Group as Government Leader of the Year; an award presented to a government employee for helping the Asian and Asian-American community within Ohio succeed. McDaniel says, through the years, he and the City have realized the importance of recognizing people of all backgrounds. Purba Majumder is a well-known figure in Dublin. She created a successful locally based software development company called Cybervation, Inc.; she founded the non-profit CoolTechGirls, which encourages girls to study computers, science and technology; she spoke at the Dublin TEDxInnovation in July 2018 about increasing equality in the workplace; and she was recognized by the 20 Outstanding Women group in 2014. Purba Majumder speaking at the 2018 TEDxInnovations in Dublin. Her topic focused on solutions to increase the number of women represented in STEM-related fields because, according to Majumder’s research, only 24 percent of the industry consists of women. Her video can be found on the YouTube page TEDx Talks. Born and raised in Kolkata, India, the capital of India’s West Bengal state known for its multiculturalism, Majumder has lived in Dublin for more than 12 years, and recognizes the importance of diversity within a community. Majumder says people with different racial or ethnic backgrounds typically have different experiences and insights, and by allowing everyone to have a voice it makes for a strong community. Purba Majumder’s daughter dances Odissi, an ancient Indian classical dance form that originated from the eastern coastal state of Odisha, at the 2017 Dublin B.R.E.A.D. Festival. 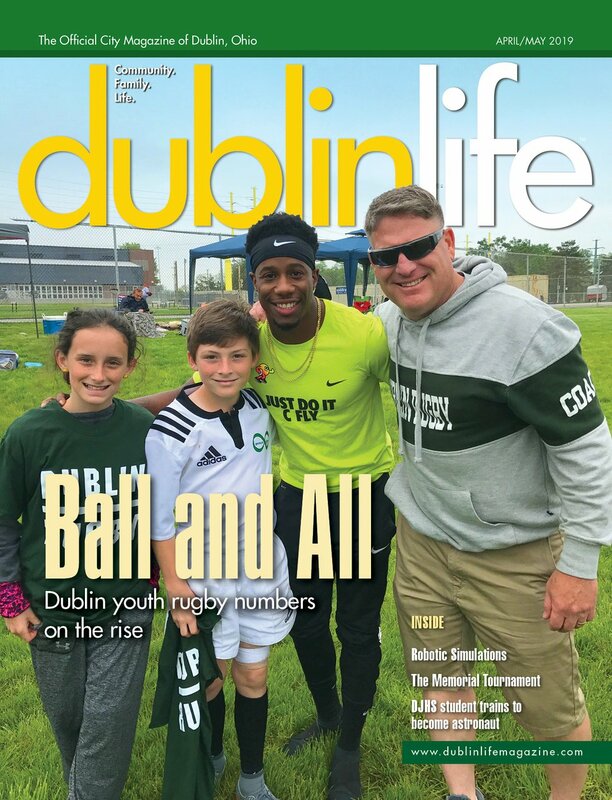 Dublin celebrates its multicultural community through a variety of events, and one that has gained a lot of traction in just three years is the B.R.E.A.D! Festival. Mujumder’s daughter performed the dance Odissi at B.R.E.A.D!, and she says it’s exciting and important to have a platform for not only the vibrant Indian dance form but all multicultural traditions. She says she’s happy to raise her family in Dublin where discrimination is low, and that she believes Dublin is constantly moving forward. For Dublin to continue the growth of diversity within the community, McDaniel says the city hopes to globally operate even more. Currently, with the assistance of the Dublin Friendship Association, the City has a relationship with Dublin, Ireland; which was officiated at the 30th Dublin Irish Festival, and Mashiko, Japan; which began through a Dublin traditional Japanese taiko drumming group and evolved into an economic relationship with the town. Lydia Freudenberg is an assistant editor. Feedback welcome at lfreudenberg@cityscenemediagroup.com.